Ryan Couture will return to action at the Strikeforce Challengers 19 event on September 23rd. Ryan Couture (2-1 MMA, 2-1 SF) seems quite ready to return in the cage for the fourth time after obtaining his first career loss against Matt Ricehouse at Strikeforce Challengers 16. Stepping out from the clan of UFC Hall of Famer, Randy Couture, Ryan is slated for a match at the upcoming Strikeforce Challengers 19 event — which will be held at The Pearl at the Palms Casino Resort in Las Vegas on September 23. The evening’s main card is expected to be aired live on Showtime. According to some sources close to Strikeforce, there are still no announcements of who will be Ryan Couture’s opponent on his forthcoming fight. 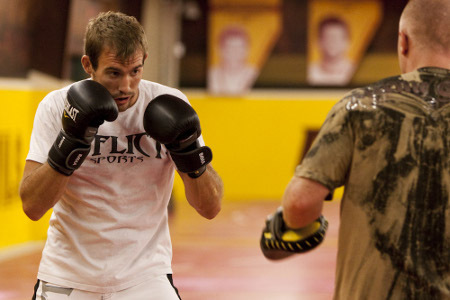 For his entire MMA career, the 28-year-old Ryan Couture only attained a single misfortune — and that was through a unanimous decision loss over Matt Ricehouse last June 2011. Prior to that, he successfully won his bouts against Lucas Stark and Lee Higgins, giving him an amateur record of 5-1-1. As of now, there are no additional bouts slated for the event.